What can UMTS do that other mobile communication systems can’t do? What types of devices can use UMTS LTE radio? 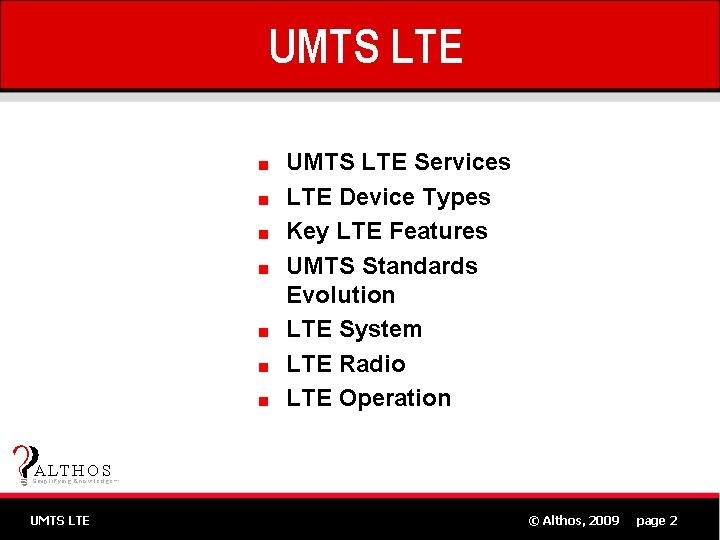 How have the mobile standard evolved into UMTS LTE? What are the key parts of the UMTS LTE system? What are the key radio characteristics of the UMTS system? How does the UMTS LTE system operator? This book explains the basic components, technologies used, and operation of UMTS LTE systems. Discover the key features that LTE systems provide that go beyond the capabilities of existing 2G and 3G mobile systems such as ultra high-speed Internet (100 Mbps+), television (multicast video), and low latency services (packet voice).